There are two types of people in Minnesota. We are State Fair people. I’m not sure how to classify the other type–Elitist? Boring? Enochlophobic? Misanthropic? Anyway, I once fit into one or more of these other classifications before actually experiencing the fair for the first time. We were transplants to Minnesota and the hubs mentioned that the Minnesota State Fair was supposed to be a big deal. I recoiled with a scowl. 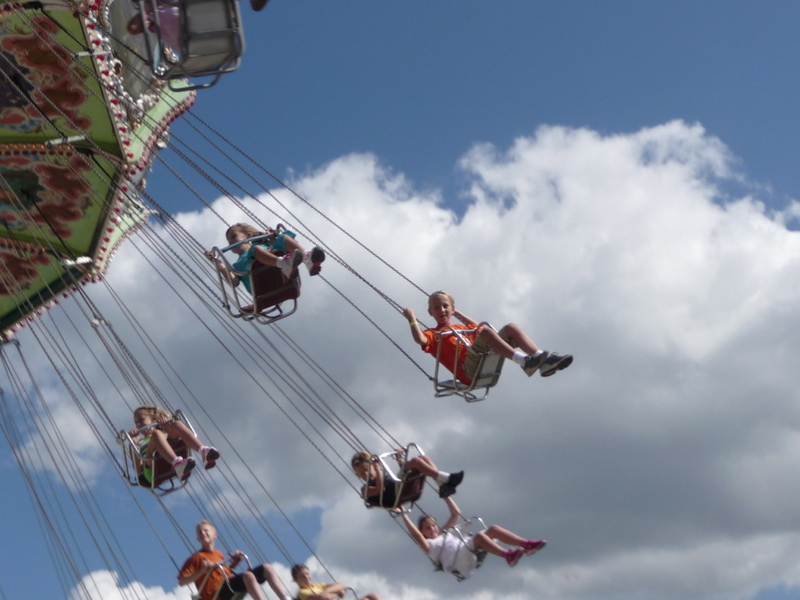 My vision of a fair was of tromping over straw-covered dirt paths, risking my life on rickety rides and ordering $5 hotdogs from a vendor who’d surely slogged the food over from a nearby gas station dumpster. But then! But then! I got pregnant. My being knocked up has nothing to do with the fair, per se. But being hospitalized on bed rest during the “12 Best Days of Summer” meant I watched a lot of KARE at the Fair. Everyday, a new delight was paraded or spotlighted on KARE 11 news. I wanted to try those great-looking foods, watch demonstrations by artisans and performers, trace the history of agriculture and win a giant stuffed toy! I wanted to experience all the great stuff I was seeing on TV. The following year, with our then one-year-old in tow, we ventured out for our first visit to the Minnesota State Fair. We haven’t missed a year since. That was 15 years ago. The Minnesota State Fair really is a big deal. It’s not plopped down on some farm field, but has a mapped urban location with paved streets and permanent buildings that feature displays of fine art, creative handcrafts, home-baked goods, youth science experiments, innovative technologies, cultural exhibitions and more! We learn something new or every year. 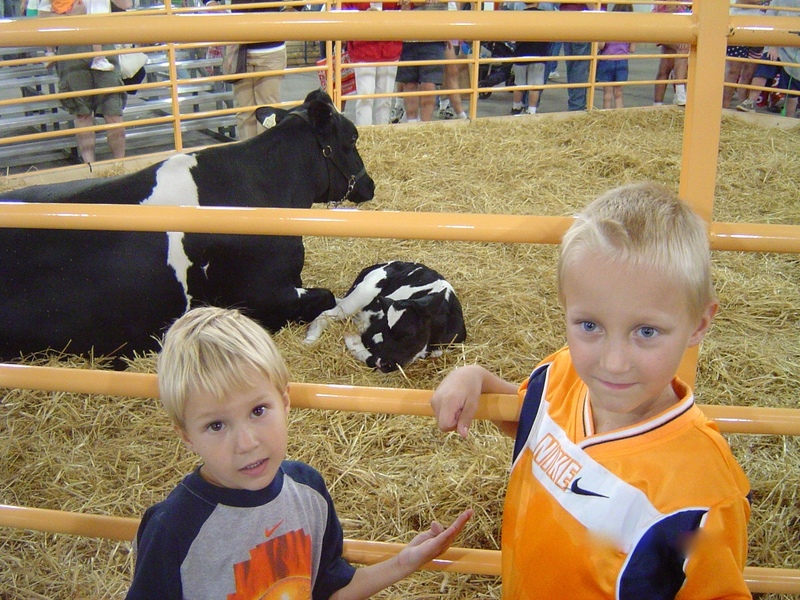 The barns are enormous and the State Fair has helped this city girl develop a deeper appreciation for farming and the proper care of animals. I remember being so excited about the new CHS Miracle of Birth Center in 2006. I wanted our children to experience a nearness to nature that I’d never been privy to. And it’s amazing! Filled with baby chicks, rabbits, lambs and cows. Oh my. We once sat for some time waiting to witness the birth of a calf. I was awe-struck. Trouble is, one of our kiddos prefers the dried and fluffed animal variety and has some trouble with anything squishy or covered in the gelatinous goo associated with a trip through the Play-dough maker of life. Poor kid had to lie down for nearly 30 minutes after seeing Mother Nature do her thing. So, we rarely venture into that barn anymore. Don’t need to traumatize the boy any further. But I still highly recommend it! For most people, it’s thrilling and adorable. The Mighty Midway is mighty indeed. 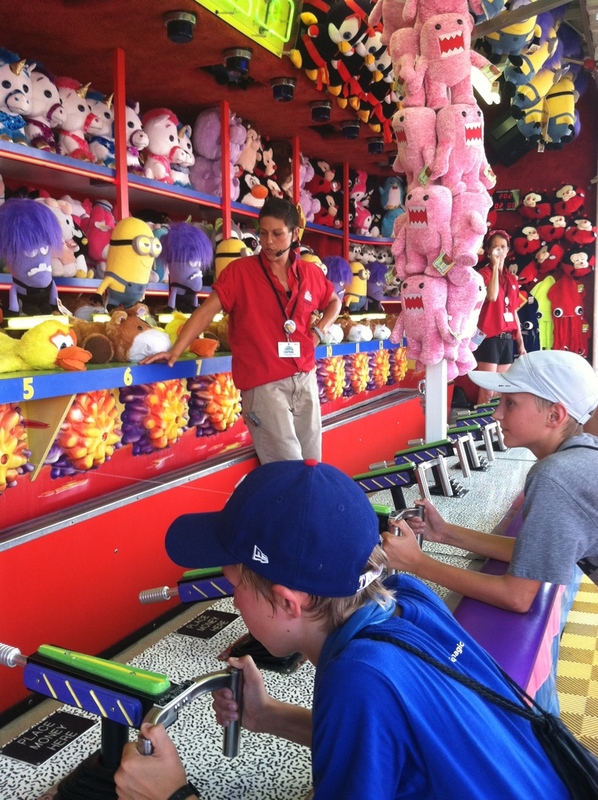 There’s even a Kidway with smaller amusement rides for those not yet taller than a yardstick. Once our kids graduated to the larger rides, they decided that throwing baseballs at plates or shooting bb-guns at rubber ducks was more their speed. 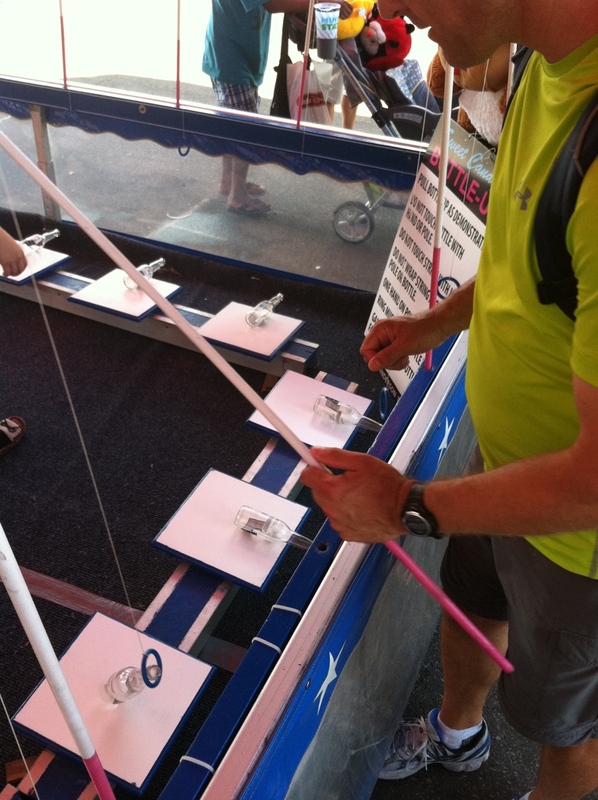 And the hubs–that poor guy has been trying for years (and spending a small fortune) trying to lift a pop bottle to standing with a plastic ring attached to a fishing pole. He swears that one day he’s gonna start practicing at home before heading out to the fair. But he’s yet to get ahead of that curve. Still, we laugh. We cheer each other on. We occasionally win small stuffed animals that we toss sacrificially to our happy dog when we get home. And the food. Yes, the food. Not gonna lie. We plan most of our day around the food. Most expert fair-goers do the same. Cibophobics and Paleo-vegan-gluen-fun-food dieters can give it a rest for a day. 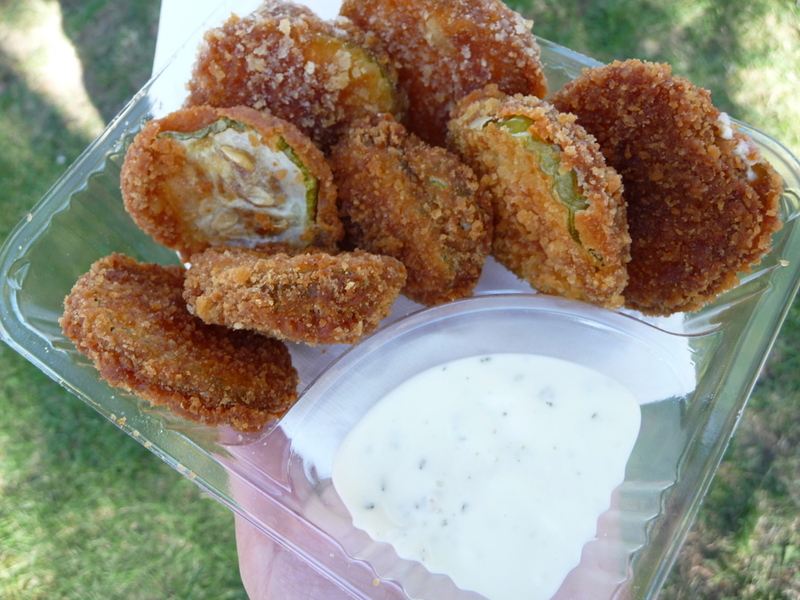 Our annual forage through Minnesota fair food has not resulted in any long-term health effects or above average BMI. 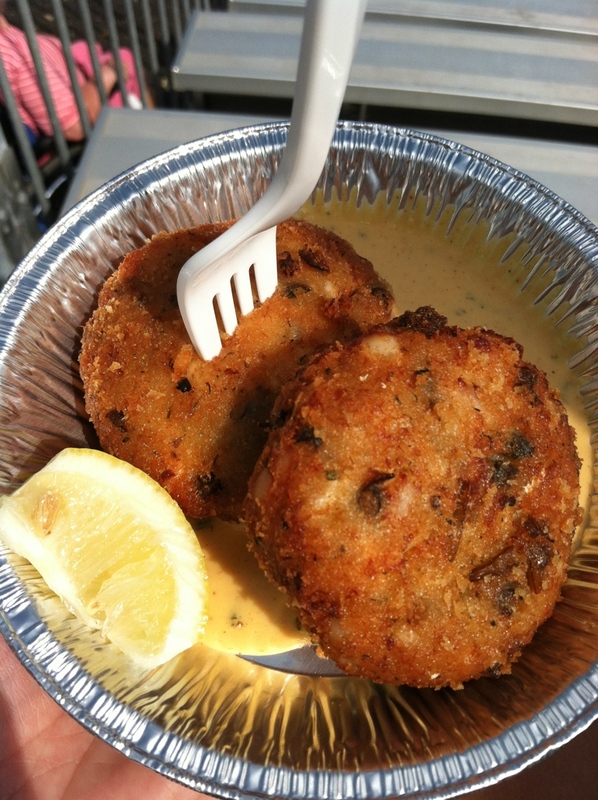 So relax and enjoy some Minnesota bounty and the ingenuity of these amazing food vendors. First, we peruse the Blue Ribbon Bargain Book for coupons. Those who want standard fare like corndogs, pizza or cheeseburgers are sure to find a discount. Walleye Cakes, Fried Pickles, Korean Tacos, Turkey To Go, Porkchop on a Stick, Deep Fried Candy Bars, Roasted Corn on the Cob and Wild Rice Burgers. Kalettes, Indie Frites, Cluck and Moo–Oh, and the Blueberry Beer! So good. So, so good. I’ve only scratched the surface of all there is to do and see and eat at the Minnesota State Fair. It truly takes more than one day to get it all in. But, we’ve limited our annual excursion to one full day because admission, parking and eating can quickly count up. But it’s worth every penny to be part of this terrific Minnesota tradition. 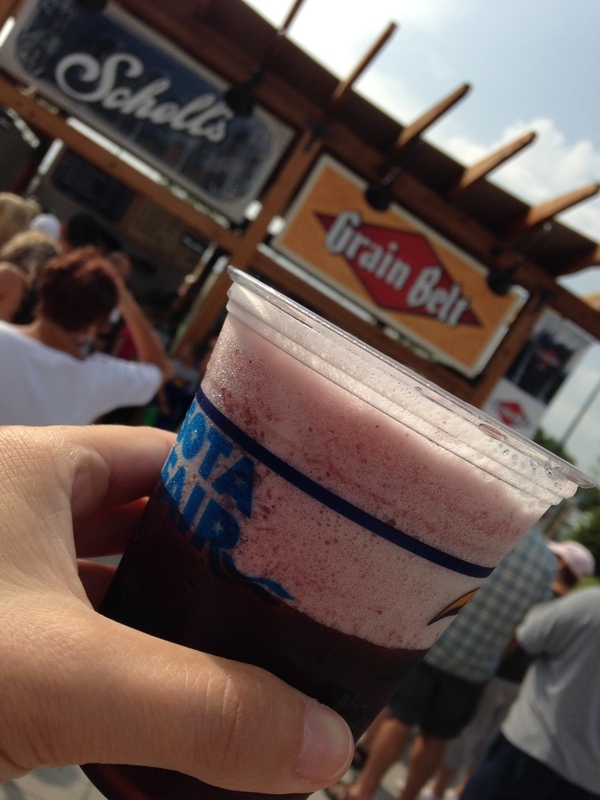 What are your favorite state fair activities, experiences or foods? Are you a single day or multi-day visitor? Do you like it best during the day or after dark? How many Grandstand shows have you taken in? It may be August and many Minnesotans may dread the inevitable march toward winter on the tundra. But waving adieu to summer with this kind of send-off is something our family will always cherish. 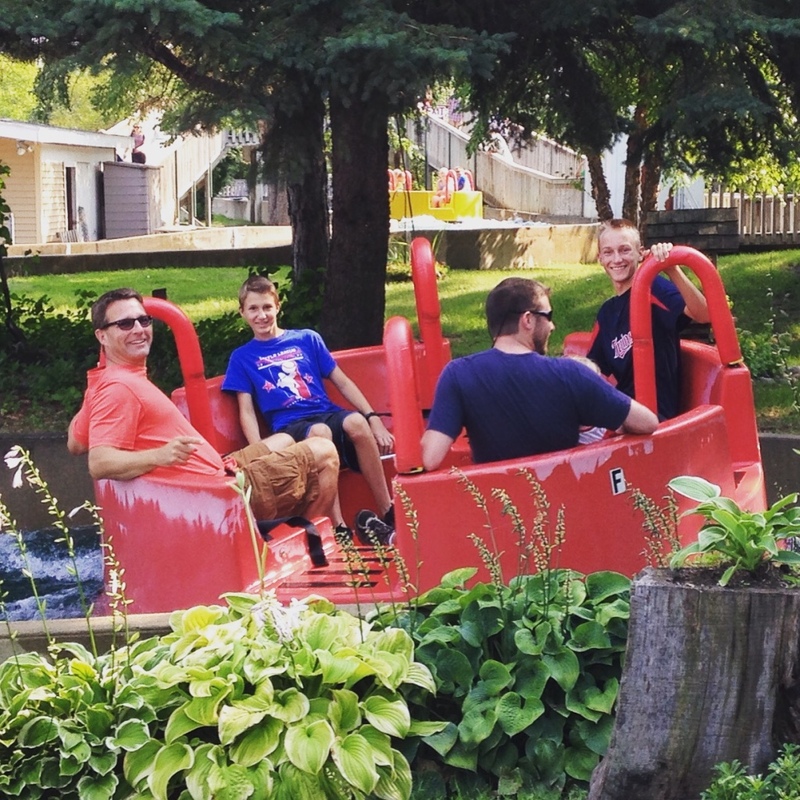 The River Raft Ride – A Minnesota State Fair tradition for the boys. Hi Angela! The State Fair was our “Vacation”! As young children, we would load up the camper, and stay at the fair four about a week. I was even a dairy princess, and had my head carved out of butter! Then when my siblings and I all got married my parents still headed out to the fair and stayed at the camp grounds,. We would pick a day (The first Friday) and we would all meet out at the campgrounds, and head into the fair, now the third generation enjoying it as well! My dad has died, and mom can’t go alone, but on Sunday, my daughter and I went, and she sang karaoke in the beer garden in memory of him! Priceless! That’s amazing! The best idea ever. Can people still camp there? My sister’s family in MI loves to camp and we are mindful of trying to get together, AND I’ve been talking up the fair to her for years. You may have planted the best vacation idea seed ever. Especially since I could totally go to the fair every day if possible. Thanks for reading and commenting. Hope you have a great day at the fair! I loved this homage to the fair! We are fair people– but mostly for the food. 😉 I cannot wait to get my hands on my favorites which are: cheese curds (washed down with lemonade), fries, fried pickles, marthas, and a chicken gyro. Yup.